December 6, 2018, marked the date of the first ever PharmaTimes Medical & Scientific Excellence Awards (MSEA), a new competition designed to recognise, reward and celebrate outstanding talent within medical and scientific affairs. Finalists were invited to attend an assessment day at the offices of Novo Nordisk, which hosted the event, to take part in a rigorous set of category-appropriate tasks that were then judged by a panel of industry experts. The awards ceremony, which took place at the Sofitel Hotel in Gatwick and was hosted by Dr Hilary Jones of Good Morning Britain, showcased the international talent on the scene with contestants travelling from as far as Germany to participate. Dr Hilary launched the ceremony with a run of medical jokes before encouraging finalists to stand to a round of applause, as a show of appreciation of their hard work and achievements. He also gave thanks to the supporters, judges and executive steering group for their continual assistance and hard work throughout the competition process. After dinner, Dr Hilary was joined on stage by Dr Geoffrey Barton, regional medical manager at Novo Nordisk and chair of the Executive Steering Group, who assisted in presenting awards for the Medical Science Liaison of the Year categories. The first to be announced was the New Medical Science Liaison of the Year, which was won by Alun Davies of Novo Nordisk, with Alicia Greenwood and Claire Gascoigne both receiving high commendations for their efforts. Boehringer Ingelheim’s Indy Dhillon took home the award for Experienced Medical Science Liaison of the year, with Aaron Dawkins also highly commended. Senior Medical Science Liaison of the Year went to Clare Bolton, continuing Boehringer’s run of success. Moving on to the Medical Information of the Year categories, Jayne Packham, managing director of Jayne Packham Consultancy, took to the stage, again to assist in handing out the awards. 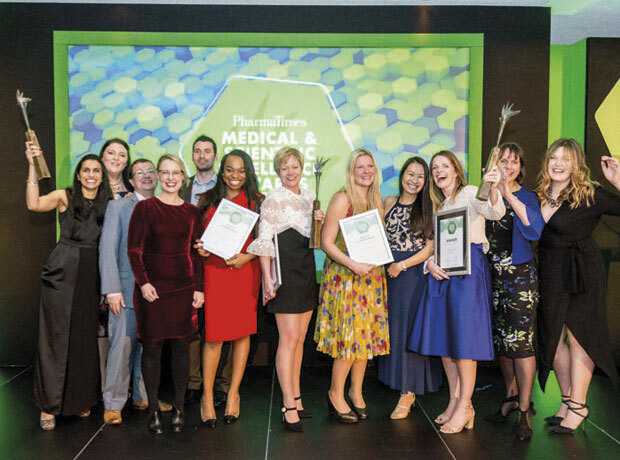 The Medical Information Professional of the Year category was won by Roche’s Andrew Wenham, while Boehringer’s Moriam Adetokunboh-Ajala was awarded a high commendation. Catherine Sheriff from Eisai won Medical Information Leader of the Year, and Merck’s Alena Attiyah received a high commendation. Finally, Boehringer Ingelheim’s stream of success continued with Deborah Clarke, who walked away with the Medical/Scientific Advisor of the Year award, bringing the ceremony to a close. Feedback from entrants has been extremely positive, setting a fantastic precedent for the future of the competition.“Attending the new PharmaTimes Medical and Scientific Excellence awards was a great opportunity to put my Medical Information knowledge and leadership skills to the test. It also allowed for networking and sharing best practice with others in the field,” said Medical Information Leader of the Year Catherine. Click here for more information or contact Luci Sargood (luci.sargood@pharmatimes.com).